A special gift has remained in Beverly Beckham’s memory over many years. It’s something I think of every Christmas and I don’t know why. I am sitting on the couch in my in-laws’ living room. I don’t remember the couch, though I should. I sat on it dozens of times. I am sitting on the end, in the corner, close to the dining room. My sister-in-law, Janet, is sitting on a chair to the left of me. My husband is there, too, and his parents and my father. It is Christmas day. But what Christmas? The first Christmas we were married? Or was it the next year? Or the year after, the last one we were all together? My mother walks from the dining room into the living room. Her hair is frosted and curled and her lips are pale pink and she has on her signature high heels and I think, she is so pretty. She is carrying two gifts, both the size of a shoebox and both wrapped alike, with big red bows. My mother is smiling like a little kid about to present her just-made, multicolored macaroni necklace. She hands one present to me and one to Janet. “Open them at the same time,” she tells us. 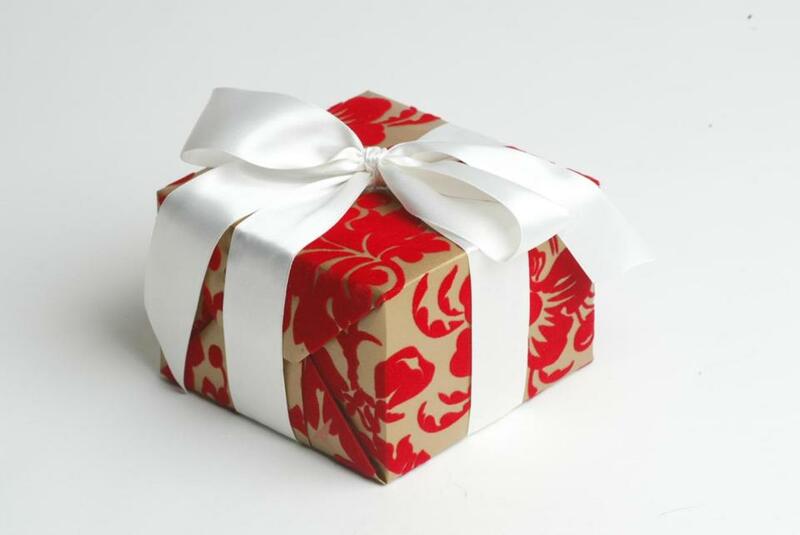 We open them in rhythm, first the bow, then the paper, then the box. Our gifts are identical: clear plastic caddies full of different shades of lipstick. I think there were 12 plastic tubes. I counted them. But maybe there were more. They were pink and red and orange and even lilac, and one that was called “Frost” and I remember thinking that I loved them and that I loved my mother, not just for her thoughtfulness, but for including Janet in this gift. Every Christmas, my mother always had extra things for me, a scarf, gloves, a record, something little to go along with something big. I haven’t a clue what the big gift was that year. I don’t remember any of the big gifts. But I remember the lipsticks. And every Christmas I think of them. I’d read before about “flashbulb memory,” how people remember events associated with dramatic circumstances. “Flashbulb memory” is why we know where we were when Kennedy was shot, when the Twin Towers fell, when Neil Armstrong walked on the moon. But there was nothing dramatic about my mother and those lipsticks. And yet my brain has stored this memory for nearly 50 years. “A halo of better memory for . . . otherwise trivial events,” is a phrase that I had to read twice. And then I had to sit and absorb it. Because not only had I been thinking of my mother and those lipsticks just a few minutes before I came across this random e-mail. I’d also been thinking about how this memory not only resurfaces every year, but seems increasingly more important. Still, I might have dismissed even this blatant kismet, if “halo” and “trivial” hadn’t been on my screen. My brain took a picture that Christmas day nearly half a century ago, but not just one picture. It took a burst of pictures, so that the images I see are live — my mother striding, laughing, smiling at me. I see a halo. I see the trivial. But what I also see is a gift. I have spent so much time wondering why this memory was stored, why not something bigger, grander, that I didn’t realize until now just how grand a gift this memory is.